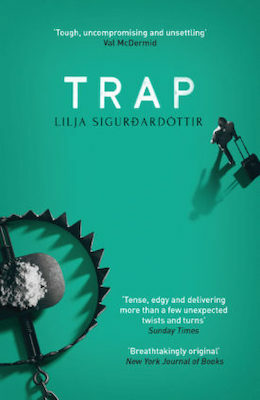 The following is an exclusive excerpt from Trap, the second in Lilja Siguroardottir’s Reykjavik Noir trilogy. Sonja is living in Florida after narrowly escaping the Icelandic drug lords, safe until her son is taken and she gets caught up in their bidding, suddenly a pawn in a trap that endangers the very lives she set out to protect. 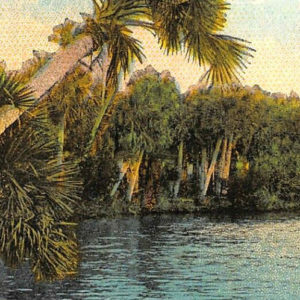 Her dreams had been of pack ice drifting up to the shore alongside the trailer park, and however ridiculous the idea of sea ice off the coast of Florida might be, the dream had been so vivid that it took Sonja a few moments to shake off the image of grinding icebergs approaching the beach. While she knew the dream had been a fantasy and that the chill of the ice had in fact been the air conditioning, it still left her uneasy. A dream of sea ice wasn’t something that could bode well. Sonja peered into the microwave – something that had become a habit. Inside, giving her a sense of security by being where it should be, was the sandwich box full of cash. Her heart lurched at the thought of Agla. The memory of the scent of her hair and the warmth of her skin under the bedclothes brought a lump to Sonja’s throat that refused to be swallowed. The more time that passed since their parting, the harder she had to work to stop herself from calling her. Iceland was behind her, and that was the way it was. This was her and Tómas’s new life, and she was fully aware that to begin with it would be a lonely one. But loneliness wasn’t her biggest problem; a much weightier concern was their safety – Tómas’s in particular. If she allowed herself the luxury of contacting Agla, there was every chance that Adam would sniff out their communication and use it to track her down. Sonja opened the trailer door and sat down on the step. The air outside was hotter than inside the trailer and the afternoon sun cast long shadows from the trees across the bare earth at the centre of the cluster of trailers. Sonja took a deep breath of the outdoor air and tried to throw off the discomfort the dream had left her with. The old, toothless guy opposite stood over his barbecue, which sent up plumes of smoke as the fire took; Duncan’s mother sat in a camp chair outside the trailer next door, listening to the radio. There was a peace to the place, but it would soon come to an end, broken by the noise of traffic and horns on the freeway as people began the commute home from work. ‘Guys? What guys?’ In one bound Sonja was at Duncan’s side. From TRAP. Used with the permission of the publisher, Orenda Books. Copyright © 2018 by Lilja Siguroardittir. Translation copyright 2019 © by Quentin Bates.